Authentic learning...REAL learning...the kind that lasts, the kind that sticks...only comes when a child is completely engaged in the learning process. Can this type of learning happen with a worksheet or a flashcard? You bet. But, it happens more easily and most often with a hands-on approach to learning. It happens when all five senses are put to work; when the child can see relevance in the presented material. It happens when the black and white facts of a page are applied to real life. It's easy to see that a project-based learning approach to education swings the learning door wide open. And with the help of many online resources designed to encourage hands-on learning by providing challenging projects and knowledgable mentors, the opportunities for authentic learning are limitless! Designed to be an online skills camp complete with badges and a community of fellow campers, DIY.org is a fantastic site for curious kids. There are hundreds of project challenges in dozens of skill areas. A child can explore his/her passion at great depth OR dapple in many new areas of interest to learn new skills. 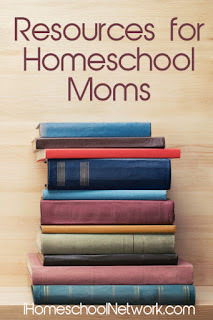 Offered by the folks at The Old Schoolhouse Magazine, Schoolhouse Teachers offers online classes in core subjects with a more traditional approach of learning as well as electives that are more project-oriented. The budding artist will bloom with these seasonal art workshops by Alisha Gratehouse of Flourish. These 2 or 4-week eCourses are offered via a password protected site and can be accessed to fit your schedule. This online showcase of hundreds of project ideas is home to a community of DIYers who enjoy sharing the instructions to their latest projects. While some are experts in their fields, most are just life-long learners trying, failing, and succeeding...and sharing the results. Please be aware that while this is a very helpful site, it is not necessarily designed specifically for kids and should be used at parent's discretion. The title of this site is a bit misleading as it sounds like it is a site specifically for kids to navigate on their own. It is actually a DIY blog for parents that is packed with kid-friendly projects for families to do together. With over 900 video oriented classes, Craftsy is the premier, online resource for learning the basics of a new handwork skill or taking the next steps of improvement or mastery in a previously-learned craft. 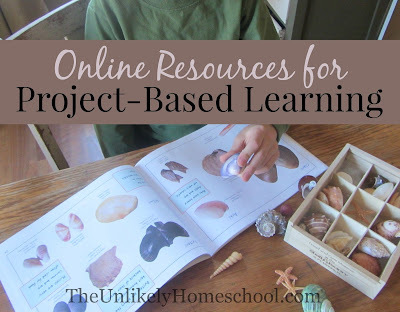 Follow The Unlikely's board Project Based Learning on Pinterest. 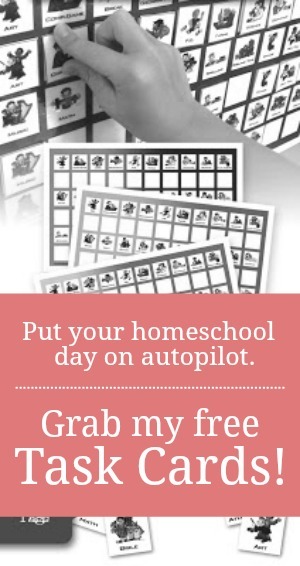 For more resources for the homeschool mom, be sure to visit iHomeschool Network.